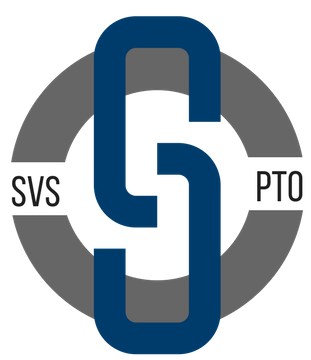 All SVMS 6th grade students are invited to attend the 6th Grade Social on Friday, September 28, 2018 from 2:30-4:00 p.m. The event will be held in the SVS cafeteria. The pool, basketball and volleyball courts will be open for students during the social. Snacks will be served. Admission is $5.00 per student and a signed permission slip is required. Click below for access to the permission slip. Parents are asked to be at school promptly at 4:00. To ensure student safety, we ask that all parents who pick up their children enter the building and pick them up in the cafeteria. A late bus is available at 4:15 in front of the school. Please indicate below whether your child will be picked up at school or will take the 4:15 bus. 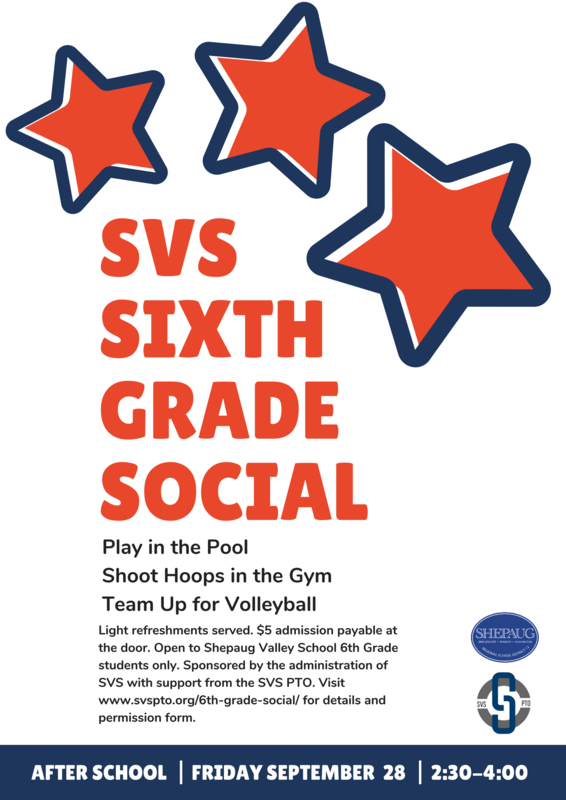 NO GUESTS are permitted at the social, this event is open to SVS 6th Grade students only.